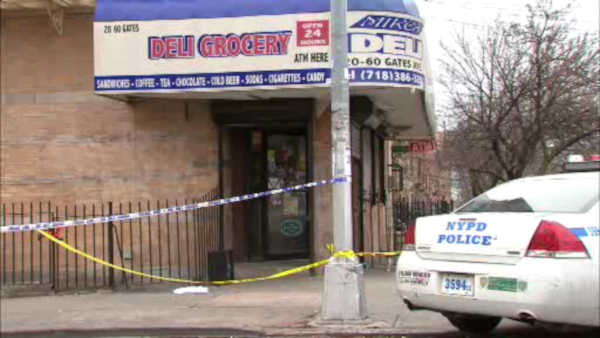 RIDGEWOOD, Queens (WABC) -- A man who is suspected of shooting two Queens deli workers is dead after police say he shot himself. Police say the gunman got into an argument with two workers at Mike's Deli in Ridgewood before opening fire. Both employees were wounded. 90 minutes later, as officers tried to pull the suspect over in Brownsville, they say they heard a gunshot and rushed to the car, and found the man dead at the wheel. Both of the deli employees are expected to be okay.